TPC Overall Rank: #302 out of 2933 rides. User Tracker Count: 527 times. The original is so much better than the update. The 3D just makes this simulator even more nauseating. Reguardless, this attraction should not be missed, especially for Star Wars fans. I rode this and thought it was awesome! It really felt neat too. R2-D2 was soooo cute in this!!! The new changes were great if you like starwars check it out. The latest iteration of Star Tours is so far and above it's predecessor. I was not a tremendous fan of the old ride, but the many possible combinations of films make this one even more impressive. I sort of gave up on Star Wars after the original trilogy, and this ride reminded me of all the things I loved about those films (as well as revisit them). It seems much smoother than the old ride as well. Its cool and I love motor simulators that is why but the line is short I would definetly suggest this. A fun time. It's a rather amusing, paradoxical '80s-meets-the-future experience. The simulator is pretty bumpy but enjoyable. Fans of Star Wars will certainly enjoy the ride, children may find it too intense (there's a lot of near-collisions, bumps, etc), and adults who don't mind simulators will have a good time. It's nothing great, but you should definately check it out at least once while at Disney's Hollywood Studios. To be honest, the ride is short, and the lines can get pretty long, too. It is sad to say that this ride has not held up over the years. 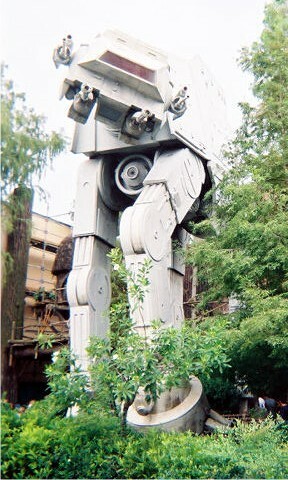 As much as I like Star Wars or the nostalgia factor of the ride, I would not be sad if they got rid of this ride. I do hope that if the ride is torn down that they decide to build a whole new Star Wars ride that is not a basic simulator. Simulators are mostly no good rides and this is no exception. The ride isnt that fun anymore. Some rides dont hold up after 20 years.